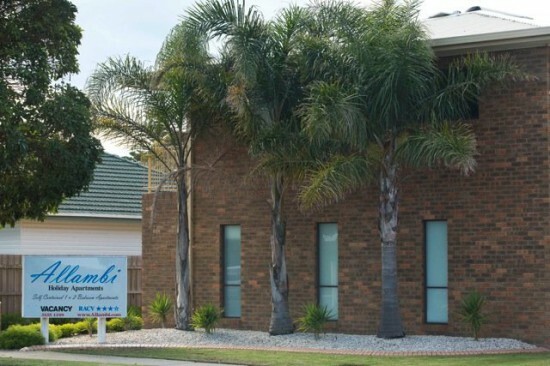 Welcome to Allambi Apartments, where you can holiday in well presented, quite apartment accommodation. Our sunny, modern fully self contained 1 and 2 bedroom apartments, are just a short stroll from the heart of Lakes Entrance the Esplanade. If you rather stay in we have a solar heated swimming pool, games room and BBQ area. All our apartments feature; Big Screen TV's, Dishwasher, Washing Machine & Dryer, Free unlimited DVD Hire and Free Wi-Fi!